Cozy, Holiday Cooking Class with no Hoopla! Our world has gotten so loud. Kid-friendly has come to mean chaotic, with each kid event louder, bigger, more stimulating than the last. Most kids don’t thrive under these conditions, and for introverted kids or those with sensory processing disorders and/or autism, these environments are incredibly painful and lead to meltdowns. We are alienating these kids. My goal as a children’s author is to work toward a world that honors all kids and their unique, beautiful wiring. For these reasons, I teamed up with Amanda from The Good Food Factory to provide a cozy, quiet holiday cooking class. We turned down the volume and the lights to enjoy some respite and cozy holiday food. Amanda has amazing talent in offering a truly inclusive classroom, providing more stimulation for those who need it, without disrupting those who need quiet. 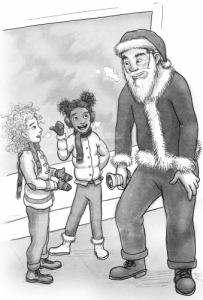 We read from Super Lexi Is Not a Fan of Christmas, we cooked latkes (Lexi’s favorite holiday food from her class party) and we sipped Lexi’s all-time favorite holiday drink, hot cocoa with marshmallows. It was a cozy, delicious event. I feel so grateful to have had the opportunity to work with wonderful, compassionate Amanda. 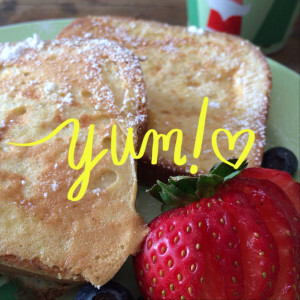 If you’re in the San Diego area, I highly recommend her kids’ cooking classes. And if you’re not, you can check out her kids’ TV cooking show and cook her healthy, kid-friendly food with your kids at home! 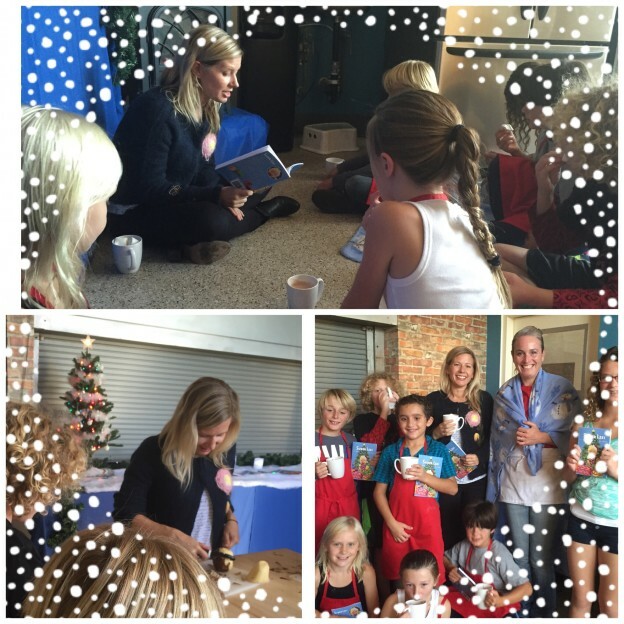 This entry was posted in Uncategorized and tagged autism, chapter book, children's literature, cooking, Encinitas, holidays, kids recipes, Quiet: the power of introverts, Sensory Processing Disorder, Super Lexi, Super Lexi is not a Fan of Christmas, The Good Food Factory on December 13, 2015 by admin. 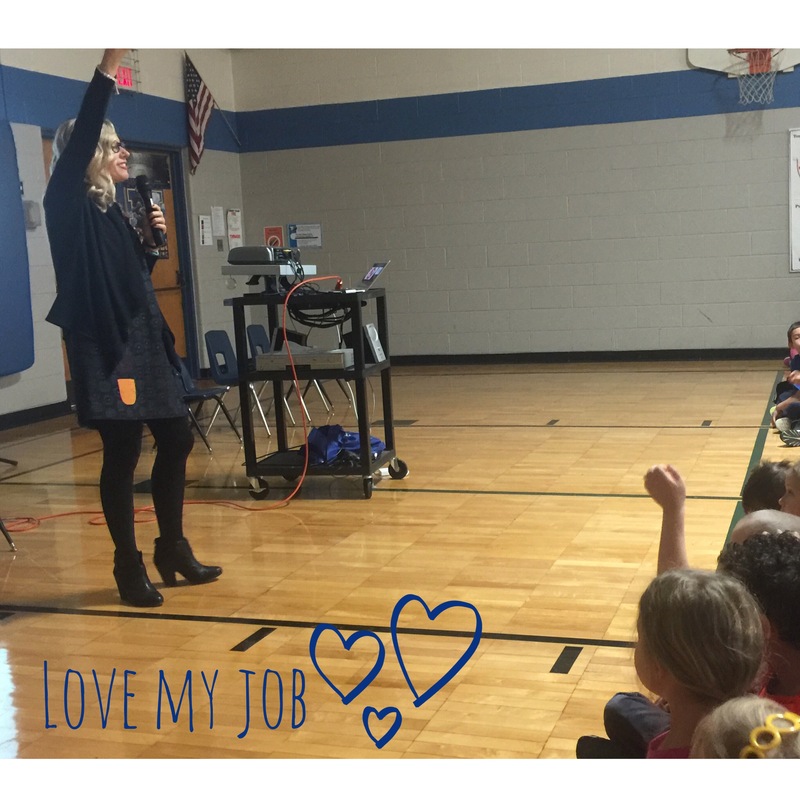 I had such a great time last week in Michigan on a school visit tour. Though never stated in the text, my Super Lexi chapter books are set in Michigan, where I spent my own childhood. I have such a deep love for the people and the state itself, I include it in the backdrop of most of my fiction. It was so comforting to be back. The focus of my elementary school visits is to celebrate neurodiversity by empowering kids to use their diverse gifts for the greater good. In my assemblies, I work to illustrate how all people have value, and how we are unique for a reason. Then, we get into the fun part: we brainstorm ways to discover our gifts by following what we love, and we hammer out easy ways we can apply those passions for the greater good. Last week, I challenged the kids to organize their thoughts on a bookmark that I provided, and to take action that day. I love seeing them light up when they discuss the magic that is already in them. If you’re interested in an author visit, please email me at emma@emmalesko.com! 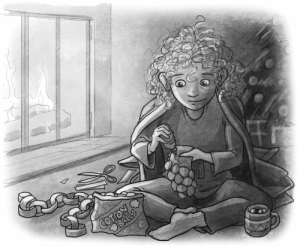 This entry was posted in Uncategorized and tagged autism, chapter book, children's literature, Michigan, neurodiversity, Pure Michigan, school visit, Super Lexi, Super Lexi is not a Fan of Christmas on October 20, 2015 by admin. My Work Is Featured in the Huffington Post! This entry was posted in Uncategorized and tagged Asperger’s, autism, chapter books, children's literature, childrens author, great kindness challenge, Huffington Post, Kids for Peace, Quiet Revolution, Super Lexi, Super Lexi is not a Fan of Christmas, Susan Cain on July 27, 2015 by admin. 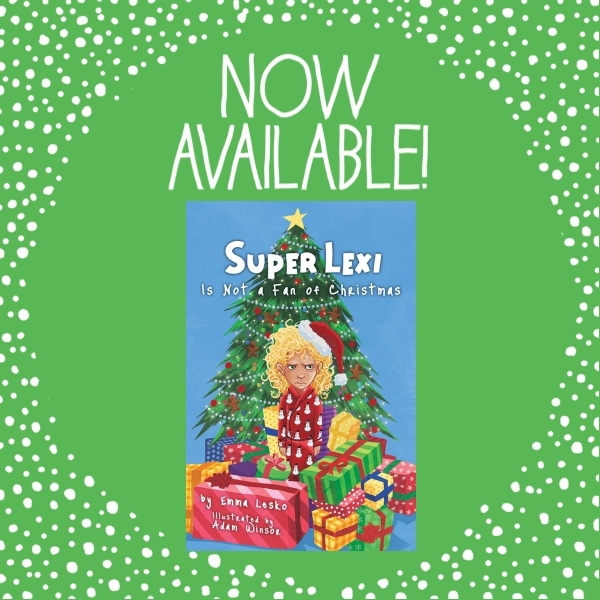 SUPER LEXI IS NOT A FAN OF CHRISTMAS Now Available! Woo Hoo! 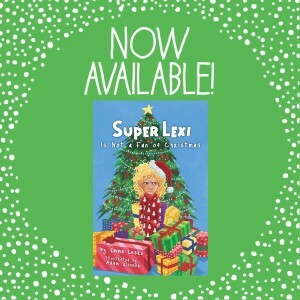 My chapter book SUPER LEXI IS NOT A FAN OF CHRISTMAS is now available! Click here to look inside! Lexi is not a fan of Christmas hoopla. It’s loud like an explosion, and it makes her insides hard like an ice cube. Too bad a big, fat holiday party at school is breathing down her neck. Now, to get out of it, Lexi has to get on the naughty list. Only one problem: Breaking rules gives her the feeling of barf. This entry was posted in Uncategorized and tagged Adam Winsor, Asperger’s, autism, chapter book, Emma Lesko, humor, Kidlit, kids books, Super Lexi, Super Lexi is not a Fan of Christmas, we need diverse books on November 4, 2014 by admin. 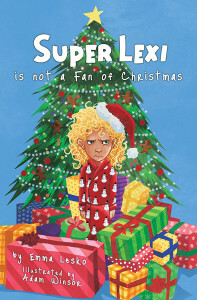 SUPER LEXI IS NOT A FAN OF CHRISTMAS Available Tomorrow! SUPER LEXI IS NOT A FAN OF CHRISTMAS comes out tomorrow! What do you think Lexi’s asking for in this sneak peek? Click here to win a free copy on Goodreads! 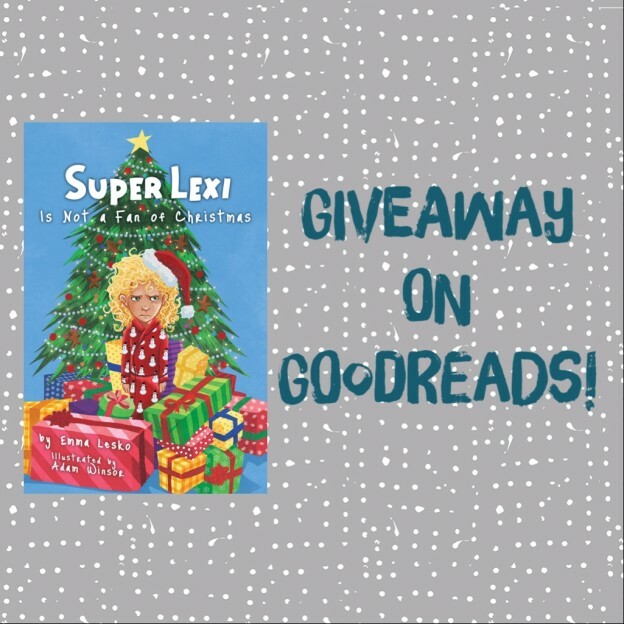 This entry was posted in Uncategorized and tagged Adam Winsor, Asperger’s, autism, chapter book, Christmas, Christmas book, Emma Lesko, Givewaway, Goodreads, Kidlit, special needs, Super Lexi, Super Lexi is not a Fan of Christmas on November 3, 2014 by admin. 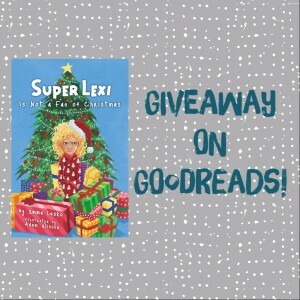 Win Chapter Book SUPER LEXI IS NOT A FAN OF CHRISTMAS on Goodreads! Chapter book SUPER LEXI IS NOT A FAN OF CHRISTMAS comes out on November 4! Click here to win a free copy on Goodreads! This entry was posted in Uncategorized and tagged Adam Winsor, chapter book, Christmas, Emma Lesko, free, Giveaway, Goodreads, Kidlit, Super Lexi is not a Fan of Christmas on October 23, 2014 by admin.